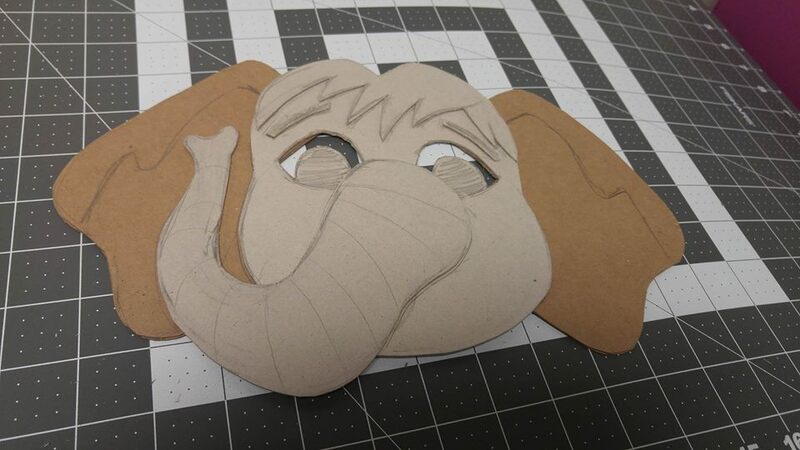 When we found out that we would be remounting a full-scale production of The Jungle Book at Kent Gardens Elementary School this spring, we knew we needed to think of something spectacular for the costumes. Everyone agreed: new masks! We are so lucky to have Lorena Berger on our artistic staff. As the creator of epic set pieces like the Jukebox from the Summer 2016 Broadway Showcase, A Jukebox Journey, Lorena was the natural choice to design. With the help of Angelina Pineda, they created these individualized masterpieces. 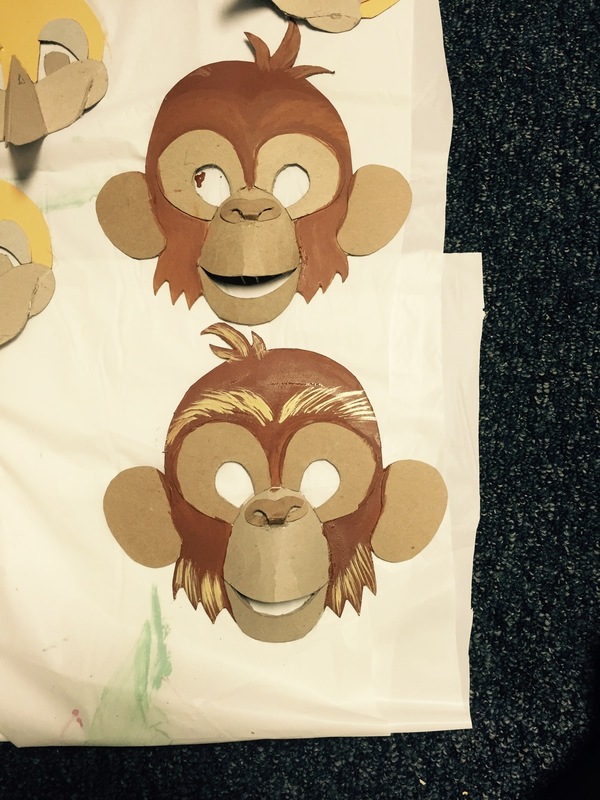 "We were following the concept of the Lion King masks in the sense that they're not going to be covering the kids' faces," says Lorena. Instead, the masks will sit on or above the actors' foreheads. The art of each mask represents Lorena's own unique style, rather than being inspired by a particular artist. If you look closely, you'll see that the masks are actually three-dimensional. This will look very dynamic under stage lights and also allows for further individualization. Cutting and crafting each mask is a very delicate process--one wrong trim could alter the whole thing! 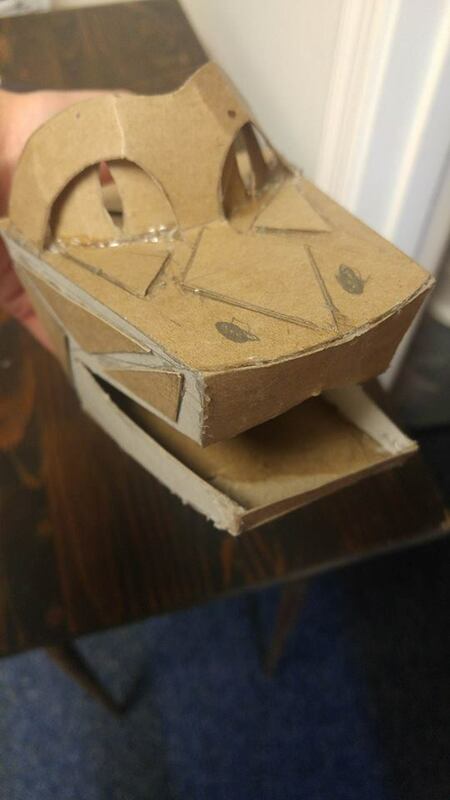 The pieces are carefully attached with hot glue. "Lots of finger burns," Lorena says, laughing. "But worth it!" Angelina and Lorena used a variety of painting techniques on the masks including stippling, sponging, dry brushing, and various washes. 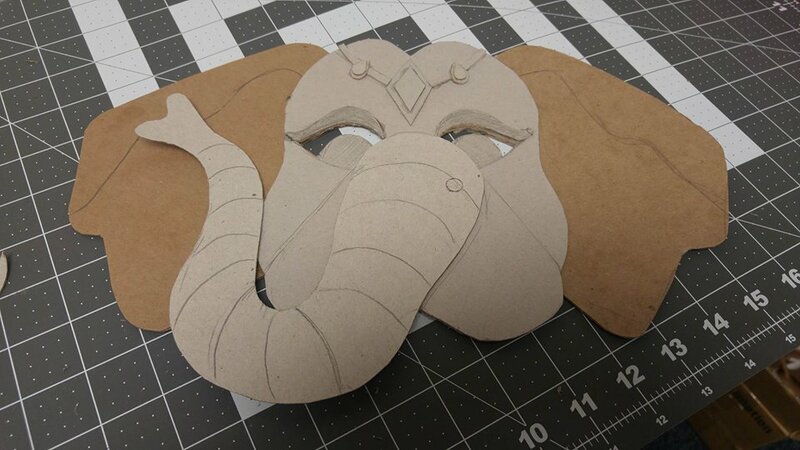 Check out the unpainted versions of the elephant family below. Each one is different: the stern father, the youthful son, and the elegant mother. When asked to pick their favorites, Lorena gasped: "That's like picking my favorite child!" After some prodding, they settled on a favorite each--or group of favorites. Lorena decided on the jackals. She's proud of how angular and stylized they are. She also loves the paint detailing on them. "There's just so much to it!" she said. "I’m going to say Baloo because I used his main color and made three different colors out of it," says Angelina. It was the first one that I painted and after I finished detailing it, I knew where I wanted to go with the rest of them." "The challenge of the whole process was that we didn't have instructions for each mask. we had to discover how each shape bent and how to create dimension. That was the cool part, too!" says Lorena. She also noted that the masks are made entirely of recycled materials! This show goes up in April, so check back later for pictures of what these creations look like in action! AFYP In the Know: Break a Leg!